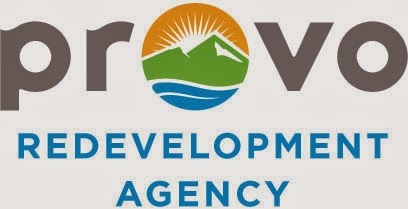 The Council will review Provo’s Community Development Block Grant (CDBG) to consider an adjustment to the balance of Community Development Block Grant (CDBG) funding between social and nonsocial uses of funding at an upcoming Council Meeting. A Community Development Block Grant (CDBG) is a federal grant program managed by the U.S. Department of Housing and Urban Development (HUD). These grants fund community development in the areas of affordable housing, anti-poverty programs and infrastructure development. CDBG funds are allocated by the Council, utilizing the assistance of a citizen committee made up of Provo residents, who review funding requests and applications and then submit their recommendations to the Council. What are the “social” and “nonsocial” funding categories? CDBG funds are divided into two categories, social and nonsocial services. Spending on social services, or “public services” must adhere to guidelines set up by HUD, which specifies such funding may not exceed 15% of the grant. These public services are focused on providing benefit to moderate and low-income individuals and households. In the Council’s Meetings on Feb. 18, 2014, the CDBG Social Service Committee’s recommendations were reviewed by the Council. These recommendations included a breakdown of possible levels of social or public service spending. The analysis offered a look at funding for social services at levels of 5%, 7%, and 10% of the total grant allocation. The Council asked for an analysis that included an option for a greater amount of social services spending, up to the 15% limit. This information will be presented to the Council at an upcoming meeting on March 4, 2014. As public service CDBG funding increases, the amount allocated to non-social funding projects necessarily decreases. Social service organizations also have the ability to raise other funds to provide services, while non-social CDBG projects do not.